Milky Way over Henbury meteorite craters. 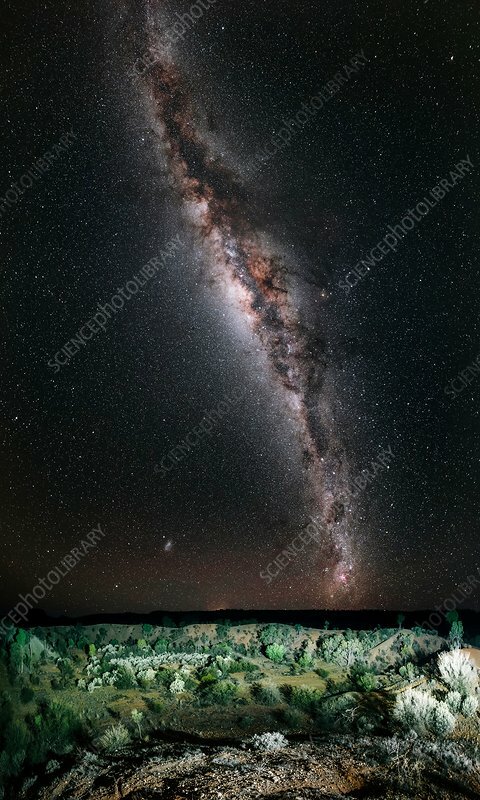 Milky Way in the night sky of the craters of the Henbury meteorite impact site, Northern Territory, Australia. This site contains more than a dozen craters that were formed when a fragmented meteorite hit the Earth's surface 145 km south west of Alice Springs. Many of the meteorite fragments are still in situ, making Henbury one of the world's best preserved examples of a small crater field.